And Snow White had her seven dwarfs. Who is always willing to lend a hand? In every chapter of our lives we have a Cast of Supporting Characters. How well do we know them? And what kind of support to we get from them? Much like friendships evolve due to distance or differences in life stages, our cast can change over time. This became clear to me a few months ago when I embarked on a career change and in doing so departed a network I had spent the bulk of my waking hours with for nearly a decade. I knew that leaving would mean some people would drop out of my life. And, more so, that leaving to write and talk about taking command of your career and work-life balance along with difficult things like burnout and overwork and subtle sexism at work might make people uncomfortable. I no longer speak the same acquiescent language. I anticipated this. I expected this. I was prepared for this. And yet, it still stings. Or who knows, maybe they’re just Crazy Busy like I was with Work & Kids, always meaning to Catch Up yet putting that call or text on the back burner until the next day / month / year when I realized it had been Too Long since I had been in touch but maybe when things All Calmed Down I would. And, of course, we never reach the stage of All Calmed Down. There were times I was not a very good Supporting Character to others. These past few months have been a karmic lesson in that. What I’ve learned is that without the Title and Company I had following my name, there are some who have cast me aside. It can be upsetting to let go of The Title and The Company and fear you’ve lost some Supporting Characters. It can make you question your value or feel you’ve been erased. But here’s the beauty of editing what no longer works for you, including friendships built largely on Title and Company or Life Stages and Likes no longer shared. You realize who is truly there for you, those who have never given up belief in you, who would crawl under a locked door for you again and again. (You’ll read this metaphorically but I mean it literally too because I have a friend who has done that… more than once). You clear out the clutter of relationships that weren’t real or remotely positive to begin with and create ones based on mutual respect, appreciation and inspiration. You open up space for others to walk in, mostly unexpected, all amazing. I’ve been astounded and utterly grateful these past few months. For the people who have stuck with me and always reminded me they see something in me I don’t often see in myself. 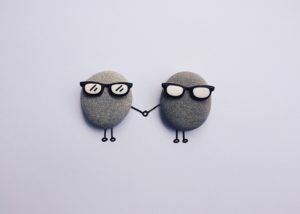 For the new connections I’ve discovered who have offered support while accepting the support I can offer. For those who have said I had no idea you felt this way or I feel like you are describing my life. Or just, I love your writing and Keep going! Or, I’m working on my Next Chapter too, how can we help each other? I’m changing up my Cast of Supporting Characters not only out of necessity but to change up the story. And I am more aware than ever of the need to be a positive and consistent Supporting Character in someone else’s plot. Because while it’s great to be the hero – the one around whom the plot revolves – it is equally gratifying to be in someone’s Cast of Supporting Characters, to urge them through their challenges and to applaud their success as they seek their own Happily Ever After. So like Snow White’s seven dwarfs, Hi Ho, Hi Ho, It’s Off to Work We Go. We have support to give and to get. Start casting. There is no more important role. So how about you? Who’s in your Cast of Supporting Characters and how can you better serve as one to others?